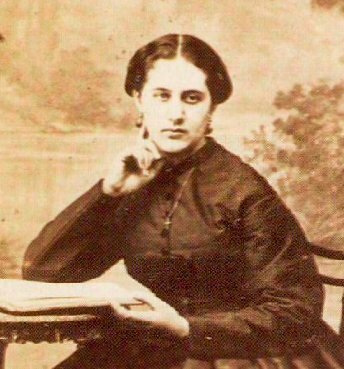 Marie Deluil-Martiny was born on 28th May 1841 in Marseilles (France). She was the oldest child in family (she had 4 siblings – one brother and three sisters). Among her mother’s family members there were some very religious nuns – their devoutness and perseverance were impressive for their relatives. Marie’s father was a lawyer and in this profession he earned money to maintain his family. When she was 11, Mary was educated in school conducted by sisters. 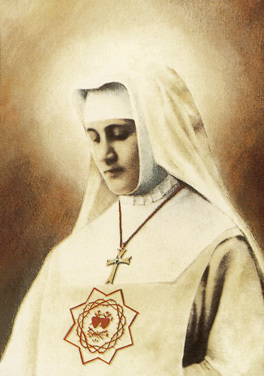 At that time Marie and her friends decided to create a “religious community” called “the Oblates of Mary” – unfortunately: in spite of good intentions of students, group was liquidated. After graduating, she wanted to visit Ars to listen to Jean Marie Vianney’s homilies. Many pilgrims came to Ars to meet this priest – Marie also decided to go there. Eventually, during her visit she didn’t meet the priest. She asked God to have a chance to talk with father Vianney, but her prayer wasn’t answered. In history many saints or blessed had visions of Jesus, who encouraged them to pray for priests and renewal of clergy. Spiritual mothers, who decided to take special spiritual care of priests, had a task to create special “opus for priests”. Marie got the same mission. Her devotion to this idea was very impressive and until she died, she prayed for priests. She died on 27th February 1884 – she was shot down by gardener. 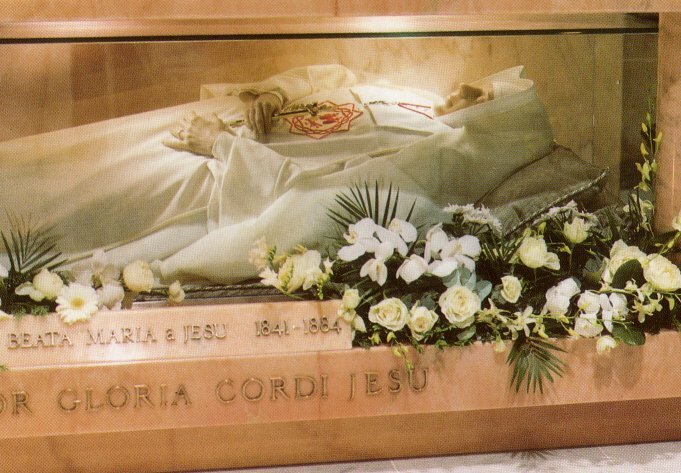 After death her body was moved from place to place and eventually – it was placed in Basilica of the Sacred Heart of Jesus in Antwerp. On 22nd October 1989 she was beatified by pope John Paul II.